Over time, yearly service can save you thousands of dollars in fuel costs and repairs, and can also extend the life of your systems. Don’t get caught with a broken system. Spring Heating & Cooling is here to help keep you up and running. You want your commercial property’s critical systems to be safe and reliable, and scheduling furnace cleaning and maintenance can help you prevent a furnace emergency before it happens. Call Springs Heating & Cooling to schedule an annual inspection and tune-up of your commercial units. We’ll give it the care it needs to have a long and productive life, and you’ll have the peace of mind of knowing you’re in the hands of trusted experts. We offer regular maintenance which includes a 25-point inspection and cleaning of the commercial heating unit. We check all motors for amperage and operation, we check the heat exchanger for visible cracks, and we check for proper operation of the unit. 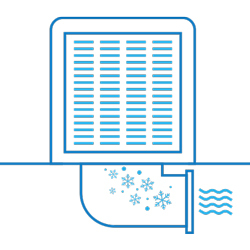 Regular maintenance will ensure your air conditioner is working at top efficiency and can extend its lifespan. Set up an annual maintenance check with a Springs Heating & Cooling technician to clean the unit, check on the refrigerant and make sure the system is in safe working order. Call our team today to help you with any issues that may arise, whether it’s maintenance, repair or replacement. We’ll be there to help when you need us. We offer regular maintenance which includes a 25-point inspection and cleaning of the evaporator coil and condenser coil as needed. We check all motors, the compressor, and refrigerant levels for proper cooling levels and possible leaks, and we check for proper operation of the A/C system. Water is a valuable resource living in the high desert environment of Colorado. A well-maintained swamp cooler runs quieter, and saves resources. We provide regular maintenance which includes removal of evaporative media pads to check their condition. With a fresh set of pads, you’ll be ready for the long hot summer. We’ll inspect the belts, bearings, motor, float, and water lines to make sure everything is in tip top shape. When we come by for your fall shutdown of your swamp cooler, we’ll make sure your heating unit is ready for the winter season too. Spring or fall, we can take care of your swamp cooler startups and shutdowns! When we come by for your fall shutdown of your swamp cooler, we’ll make sure your heating unit is ready for the winter season too. Spring or fall, we can take care of your swamp cooler startups and shutdowns! By draining and cleaning your swamp cooler on a regular basis, you will maximize its efficiency during the hot summer months. The pads need to be replaced every year on standard swamp coolers and single inlet coolers need the pads cleaned or replaced regularly to make sure they are in operable condition. Swamp cooler maintenance is required once a year along with pad replacement for optimal performance. When you contact the certified technicians at Springs Heating & Cooling, we can take care of each maintenance check and swamp cooler repair, so you never have to worry about your swamp cooler not working on hot days again. Springs Heating & Cooling knows how important it is to stay cool during the hot summer months and that is why we offer free estimates for converting swamp cooler systems. We make sure to always provide routine maintenance on your swamp cooler with inspections of the pump, filters, pads, and more. 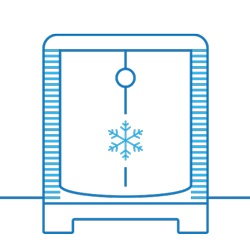 Contact us today for professional, reliable service for your cooling system. Swamp Cooler Maintenance & Service you can depend on! Systems within a water heater depend on each other, and when a problem is not addressed, it usually leads to new challenges. 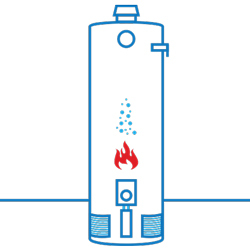 Water heater failures especially water leaks can cause extensive damage to a building. The incidence of mold and mildew rises if damaged drywall and wood are not cared for adequately. Contact a gas and electric water heater repair expert is essential for the safety of the business location. A gas water heater includes a pilot light, and in many cases, offers the advantage of continuing to supply service even if there is a temporary power outage in your area. While the cost of electricity and natural gas are continually changing over time, gas tends to be a more economical fuel source. 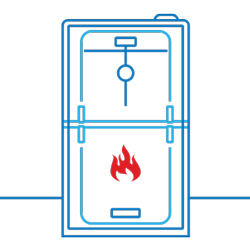 Proponents of the electric water heater point to safety as a reason to choose an electric over a gas water heater. While calamities involving water heaters are extremely rare, those that do occur often involve the gas water heater as opposed to electric models. Also, gas models often require more space than the electric water heater because of ventilation requirements for installation. If replacing a water heater in a crawl space, an electric water heater is the only choice you can make if you elect to have the water heater remain in the crawl space. Get all of your systems running right!